A recent study found that hair samples taken from men’s beards contained more bacteria than fur taken from dogs, generating many breathless headlines in the process. However, this factoid is cherry-picked and somewhat misleading. The actual purpose of the study, originally published in July 2018 in the journal European Radiology but which has reemerged in recent days, aimed to determine whether it was indeed hygienic to use human MRI scanners on our pets (Spoiler: it is). “The main objective of this prospective multi-centre study is to determine whether it would be hygienic to evaluate dogs and humans in the same MRI scanner by comparing the microbial flora of dogs and humans,” it said. As our pets enjoy longer life-spans, they experience an increase in diseases associated with their old age, many of which necessitate radiological scans. Germaphobes and hygiene enthusiasts alike were concerned at the potential for the transmission of zoonotic diseases, infectious diseases that can pass from animals to humans (like bird flu or rabies) and which account for 75 percent of new human diseases. “People are afraid that they will contract a zoonosis if they share scanners with their furry friends,” the researchers wrote in their paper. However, we already share a large number of bacteria with our canine companions owing to our close proximity, even without sharing MRI machines. The researchers took samples from the coats and mouths of 30 dogs and from 18 bearded men who also had upcoming MRI examinations, by pressing agar plates onto their facial hair. We already know that the vast majority of bacteria found in human body hair are essentially harmless to us (thanks, immune system), and some can be, and often are, beneficial to our health. Long story short: it’s fine for dogs to use human MRI machines and it might even be more hygienic than it otherwise would have been because of sterilization techniques used after the canine scans. “In this prospective multi-centre study, we showed that dogs do not pose a significant hygiene risk to humans even if they utilise the same MRI scan facility,” the researchers wrote. Finally, various studies have extolled the virtues and health benefits of facial hair on men, with some suggesting those without beards were more than three times as likely to be harboring methicillin-resistant staph aureus (MRSA). Microbiologist Adam Roberts carried out an experiment in which he was able to grow more than 100 types of bacteria from material swabbed from beards and found that it was possible that some of the microbes killed other harmful microbes off. 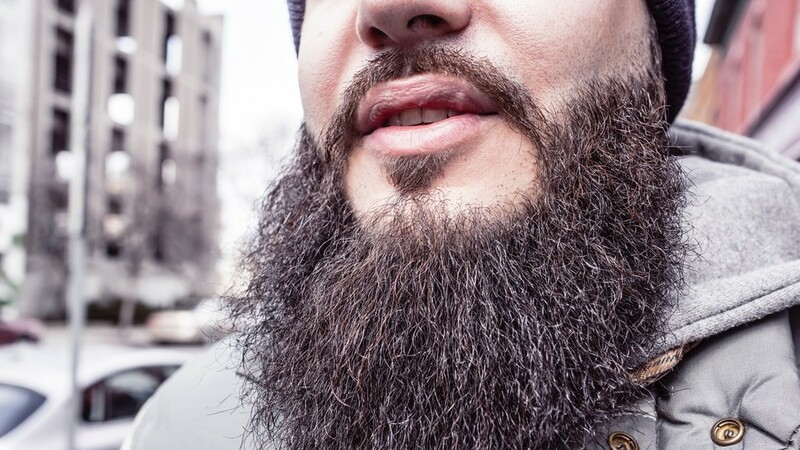 Certain beard bacteria can also be harvested to develop antibiotics. So while the quantity of bacteria on men’s beards may be higher than man’s best friend, the quality of the bacteria may, in fact, mean they are healthier than their clean-shaven human counterparts and just as healthy as their dogs.